President Jeff called the third meeting of our Rotary year to order at 12:05 pm. The pledge of allegiance was led by Rick Smith and Hoppy Hopkins led us in a rousing chorus from the song “When You're Smiling ”. ROTARY MINUTE: Rotarians provide 16 million volunteer hours each year. Rotary has provided Polio immunizations to over 2.5 BILLION children around the world. There are 11,000 Rotaract Clubs in 184 countries, including the NAU Rotaract Club sponsored by Flagstaff Rotary. 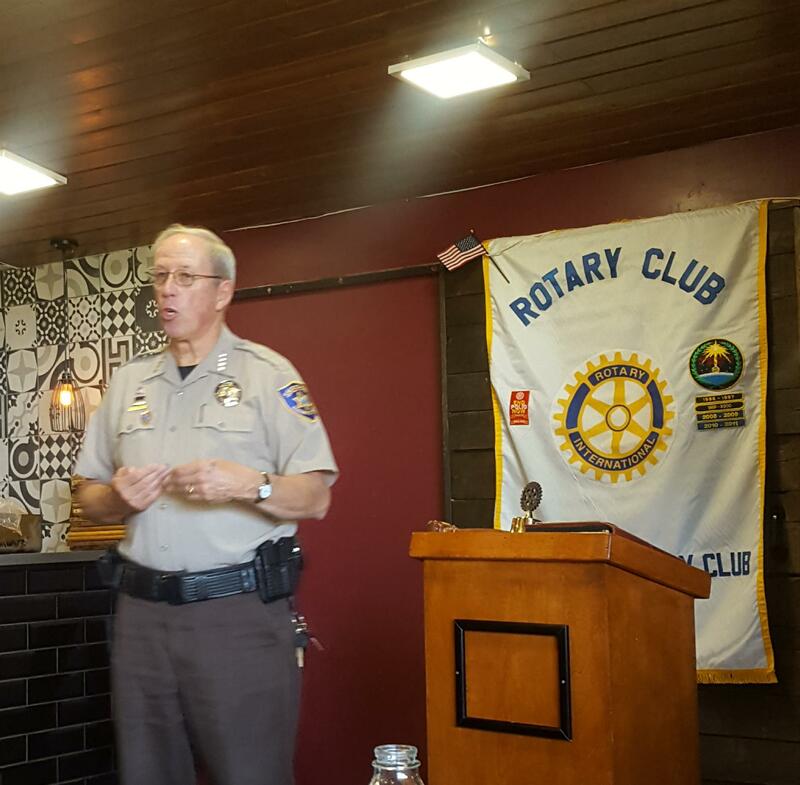 PROGRAM: Our speaker today was Jim Driscoll, Coconino County Sheriff. Sheriff Driscoll was elected Sheriff in 2016. The Sheriff worked for more than 30 year in the Sheriff's office including patrol, detectives, jail, search and rescue and neighborhood watch. Prior to being elected Sheriff he served as the Chief Deputy Sheriff. 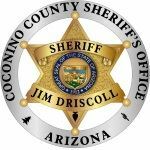 Sheriff Driscoll is responsible for law enforcement in Coconino County outside incorporated cities and indian reservations. He is in charge of the Coconino County Detention facility as well as the jail's Page holding facility. Sheriff Driscoll said one of the biggest challenges facing the Sheriff's office today is the rise in mental illness and safety of schools. He pointed out that many of the homeless in the county suffer from mental illness and that treatment for them when they are incarcerated is limited. He also suggested that securing our schools from the acts of mentally unstable people poses challenges about how much security we need and will accept in schools. The Sheriff's department has worked with school officials to train them how to deal with emergency situations as well as how to identify individuals who might later become a threat and work with them to diffuse the situations. The Sheriff mentioned the Coconino County Sheriff's office and the Flagstaff Police Department share facilities, an IT System, dispatchers and other resources leading to improved efficiency and lower costs to taxpayers. He believes this is a rare instance of government agencies working to gether, instead of in competition, to better serve the public. The Sheriff's remarks were followed by a short question and answer session. President Jeff thanked Sheriff Driscoll for his talk and asked him to sign a children’s book which we will donate in his name to the Flagstaff Family Food Center. Vaughan Winborne led us in the Four Way Test and President Jeff adjourned the meeting at 1:00 pm. Our next meeting is August 21. Our speaker will be Rotary District 5495 District Governor Jim Erickson.